"If the wedding photos are anything like the engagement photos we know we're gonna be thrilled. Thanks for taking the time to really "get" us. "Adam and I are speechless- the pictures are breathtaking and we've been gushing over them all day! Our family and friends are truly amazed - you are a genius at what you do. You were really able to understand our personalities and idiosyncrasies, and capture us in moments where we're just being us. We feel so lucky to have had the opportunity to work with and get to know you over this past year. Your friendship means a whole lot to us, and we don't think we're ready to accept that this process is over! We hope you'll stay in touch...They are our most cherished gifts from the best day of our lives!" "Thank you so much for taking so many spectacular photos of our wedding. We could not have asked for anything more--the pics are absolutely perfect. They really capture the feel of the evening. You, Nate & Chris did a wonderful job and it was an absolute pleasure working with you guys. Please feel free to use us as a reference for future clients. Thank You!!!" - Sarah and Noah, Boston, Mass. "Wow. The 'ordinary' photos contain images that would be another photographer's highlights. The highlights are amazing. Wow. I'll look through them some more and say which ones I like particularly later. But now I can only be impressed." - Rebecca and Alexy, Rockport, Mass. "The pictures are incredible and we have been very impressed with the variety of pictures that Glen took. We were shocked at some of the pictures that we saw (the one from under the chairlift, the veil picture,etc) and could not believe how incredible they look! The time, effort & energy that Chris and Glen put in are evident! They both kind of melted into the whole day and were not intrusive. We have started sharing the web page with friends & family and have heard rave reviews. A couple of our friends who got married in the recent past were disappointed with the quality of the pictures and the restrictions that there were to view the pictures & give access to other people. Both couples said that they wish they had known about Decisive Moment Photojournalists!!! " - Nicoel & Chris, Jiminy Peak, Mass. They really are great!!! Thanks for everything." "The photos are absolutely beautiful! Glen and his assistant did a wonderful job- and we were completely happy working with them on the day of the wedding. Glen kept reminding me not to rush or to feel rushed because nothing was going to happen without me...That was so helpful to have a calm professional, photographer that captured the moments with ease- at least it appeared that way... Bottom line- nothing but good things to say. Glen's work is amazing! Thanks again." "Nick and I loved everything! The pictures are amazing! We couldn't imagine having better pictures. Glen captured everything we could have wanted in the pictures. Both of you were great to work with. We got a lot of positive comments about Glen from the wedding. Our parents both loved him! 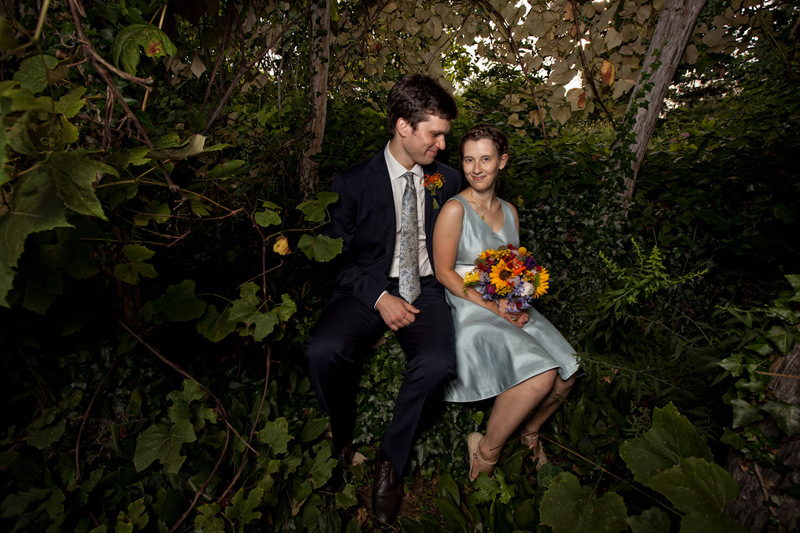 Everyone we have shared the pictures with has loved them (particularly the ones in the tree and photobooth). Thank you so much for all your help with the whole wedding process! If there is anything Nick or I can do for you in the future just let us know :)"
-Nick and Rebecca, Boston, Mass. "We've been LOVING taking our time to check out all the amazing photos. There are so so so many great shots, of us, our family and friends. We really appreciate your work and time and care that you put into our day, just awesome." "Over the course of our honeymoon, one topic we came back to over an over again was how much fun you were to work with. You made it so much fun and so easy. You were present without being the least bit obtrusive. I would imagine that is a tricky combination to get the job done but I must say, you perfected it. So thank you, from the bottom of our hearts." "I can't tell you how happy we are with the photographs of our wedding. You captured everything and we truly love the outcome! It is wonderful to look through them and relive the day and also to see many things that we missed. Both my Mom and i consider ourselves to be quite unphotographic and I don't think that there is an unflattering photo of either of us in all the photographs. I have always treasured my parent's wedding album and I know that I will feel the same way about ours." -Caroline and Ken, Cape Cod Mass. "The pictures from our wedding were simply amazing! Glen did an incredible job capturing every moment throughout the day while blending in with what was happening around them. From the first meeting with Glen up until the day of the wedding, we felt so comfortable and confident in his creativity and ability to capture the memory of our wedding. We are so excited to start putting together our wedding album and the only hard part is going to be narrowing down the pictures because they are all fabulous! I would recommend Decisive Moment Photojournalists to anyone that truly wants their day remembered exactly as it happened!" "WOW!!! I can't even digest them all at this point, but I am sitting here at my desk grinning like a big goofball because they are just reminding me what a wonderful, beautiful day it was!! Job well done - I wouldn't change a thing. I'm sending out an email right now to everyone to go and look at them. Seriously, guys, we can't say enough - great job; you were great in person and the final results have made us really happy - THANK YOU!!" "The images you captured are priceless to us & completely match both our expectations & the tone of photography that we sought. Your level of prefessionalism was high, but we never felt uncomfortable as you were able to work diligently without missing any of the fun or joy of the day. At the end of the day, Dan & I both felt as though we had been photographed by lifelong friends. With all honesty, you were our favorite vendors and we may now have to manufacture events so that we can employ you again! We're looking forward to putting our album together with your help and would recommend you highly!" "Great job by both photographers. They hustled all day to get great photos in the blistering heat and did a fabulous job. We loved their work and highly recommend them!"